Hummock Hill Island, found south of the industrial city of Gladstone in the north eastern state of Queensland, seems like a fairly ideal place for a tourism-based development. The sparkling waters of the Coral Sea stretch out before it; the island is a mere stone’s throw from the mainland, and with plenty of room at the ready, Hummock covers a vast expanse of over 1,000 hectares. Eaton Place Property, Ltd clearly saw the area’s potential – and got positive signals at the beginning of 2011 from the Government of Queensland for an ambitious project. The AUD $950M development proposal is extensive – the corporation would construct a bridge across to the mainland, and build a desalination plant, several hotels, camp grounds, and enough amenities to support the population of 1,200 who would live in 790 permanent residences. Known as Eaton Place, the project would become a virtual small city covering more than 500 hectares and taking upwards of 15 years to construct. However, in June of this year, the Australian government stepped in to quash the project. For the federal authorities, there may be public pressures at hand – among other conservation groups, the World Wildlife Federation (WWF) has come out against the project, on the grounds that other nearby development approvals and the pressure already on Queensland’s wildlife by recent flooding would cause irreparable harm to the local environment. According to a recent statement from the WWF’s Nick Heath, dugongs are particularly threatened; ““We are gravely concerned for the future of dugongs in the Gladstone Region,” he said. 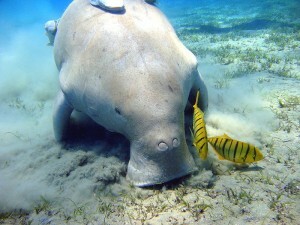 “We’re calling on the Government to step in; dugongs used to be in their thousands in various coastal and estuarine areas of Queensland and now they’re down to their hundreds or even less.” Regarding the Hummock Hill project, he voiced concerns that increased boat traffic from the marina would endanger the creatures further. 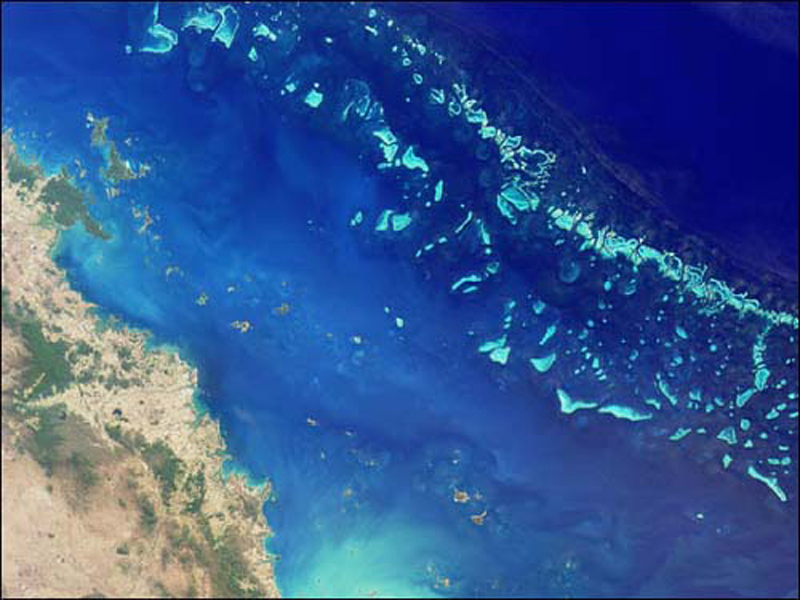 The island is within the southern portion of the protected Great Barrier Reef Heritage Site, a known habitat for dugongs and many other marine creatures – however, there have been numerous other developments in the area, including mines and large industrial plants, and the island was even considered at one point for a rocket launch pad. The state government of Queensland faces a different type of pressure, and correspondingly, has different priorities. In February of 2011, it issued a positive review of the projected, giving it preferential “significant project” status. Its report cited the (peak) 700 jobs and $85M in tourism revenue a year that Eaton Place would generate. In a region experiencing a decided slow-down in both tourism and industry, a major project like that proposed for Hummock is no doubt attractive. While Environment Minister Tony Burke announced on June 21st that the decision is open to public input, his statement on the matter had an air of finality; “Hummock Hill Island is one of a very small number of undeveloped islands remaining in the southern part of the Great Barrier Reef World Heritage Area,” he said. “As a large island close to the coast, Hummock Hill has remarkable natural and World Heritage values.” He continued to say that for these reasons, he was refusing the development. To some in Queensland, the battle comes down to far more than just one contested project – there are strong concerns on the part of some that the national authorities are simply overstepping their boundaries. The developers themselves were shocked and strongly disagreed, as they said in an issued statement; “We’ve worked hard to balance the important environmental features of Hummock Hill and the need for housing and tourism to support the region’s growth and we believe we had the balance right,” said company director John Kelly. While the controversy is ongoing, for the time being, at least, it looks like the dugongs will have the area around Hummock Hill to themselves.